our most powerful iron yet. With optimal steam distribution and superior glide, TurboPro steam iron is designed to power through large piles of ironing in no time. 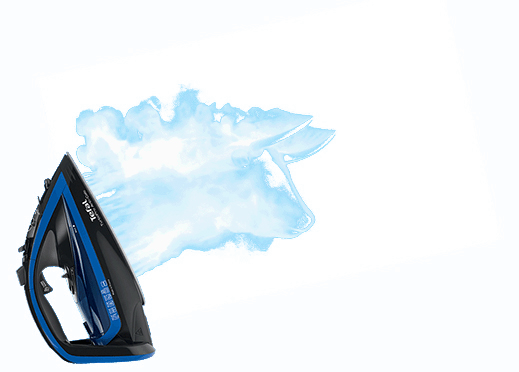 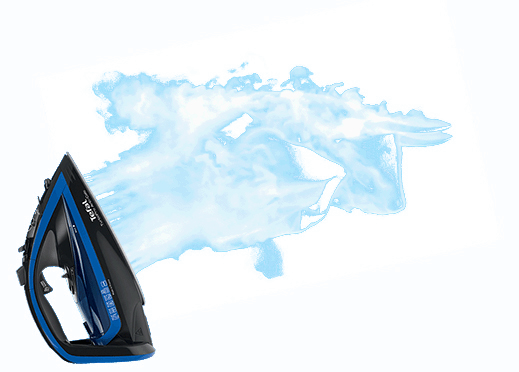 Combining great steam power and effortless glide, it will deliver the best ironing experience for efficient ironing and great garment care. 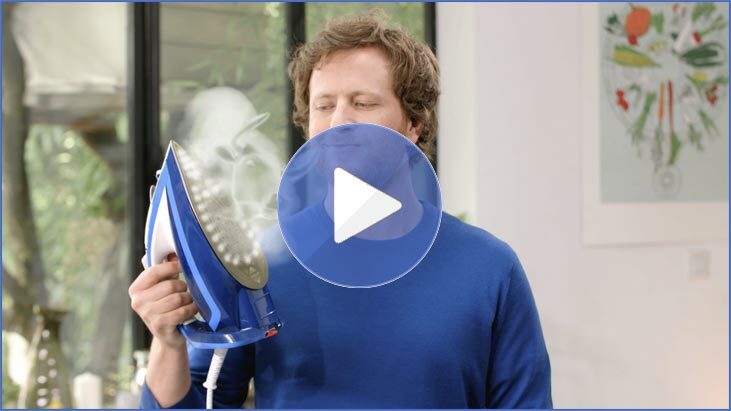 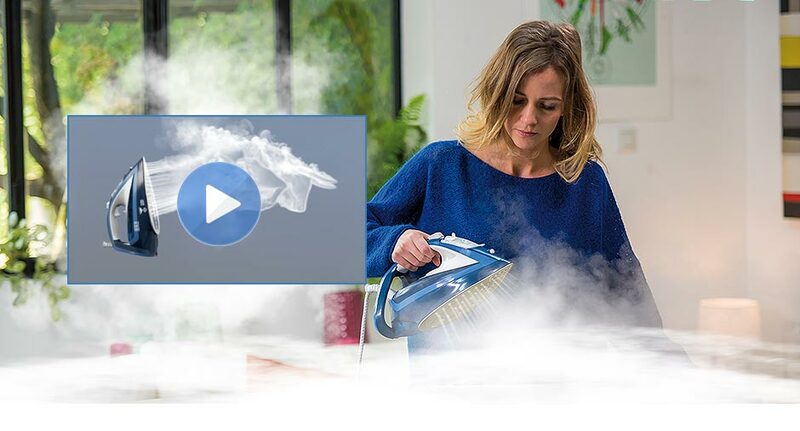 Great steam power is needed in order to eliminate creases and wrinkles in a single stroke. TurboBoost is the first exclusive technology that produces and propels an impressive steam jet deep into the fabric at a very high speed. 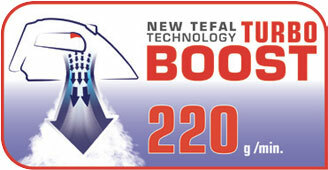 Its steam boost can go from 190g/min up to 220g/min depending on models. 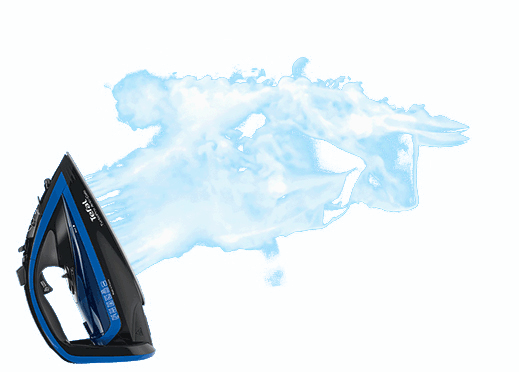 Optimal glide and homogeneous steam distribution are key to an effective and easy experience. 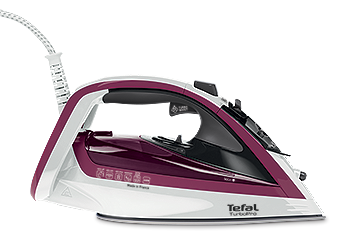 33 years ago, Tefal created the Durilium technology, a unique enamel soleplate, that ensures a better performance than ceramic soleplates. 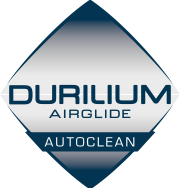 In 2017, Tefal launches Durilium Airglide Autoclean with an exceptional 33% improvement in glideability. 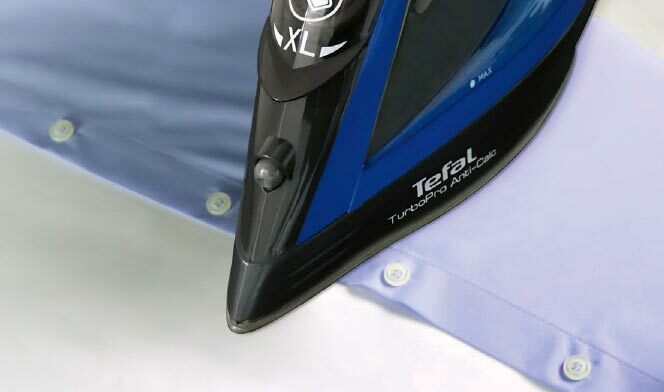 + Glazed with Autoclean catalytic coating. 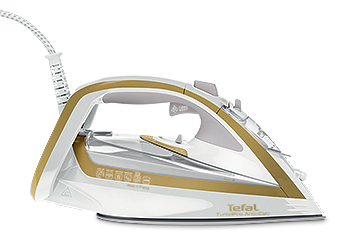 *Compared to other Tefal soleplates via external testing. 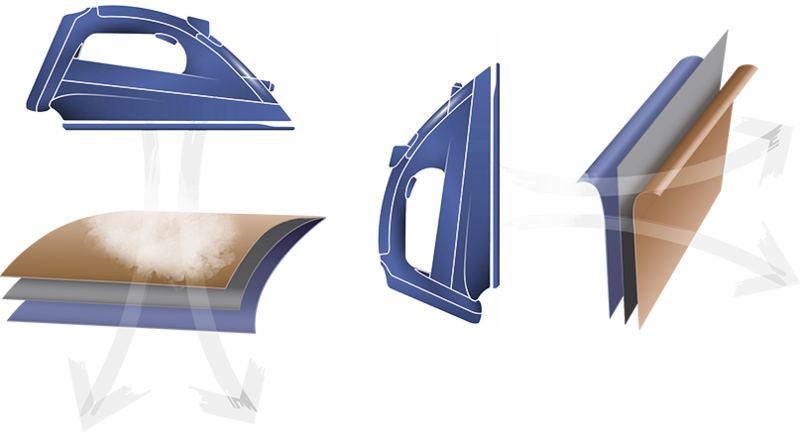 *Compared to previous Durilium generation. 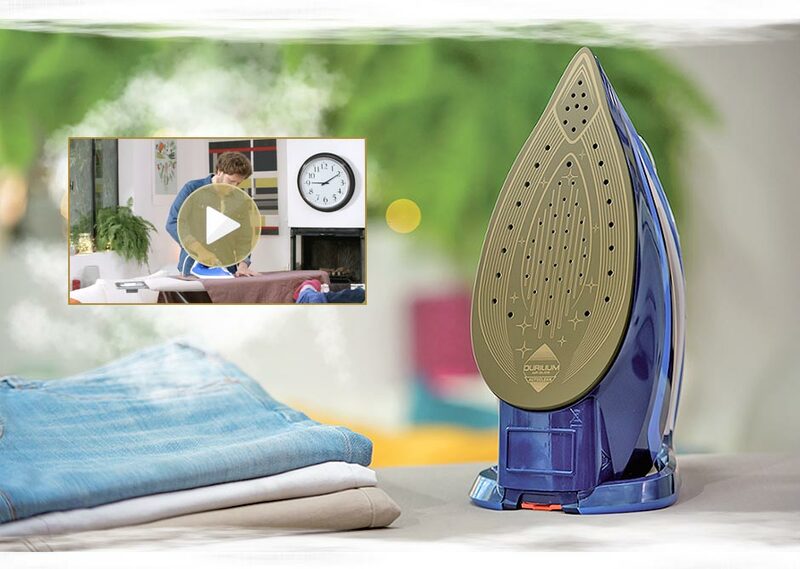 Thin and smooth, it encounters zero resistance and offers easy crease removal. 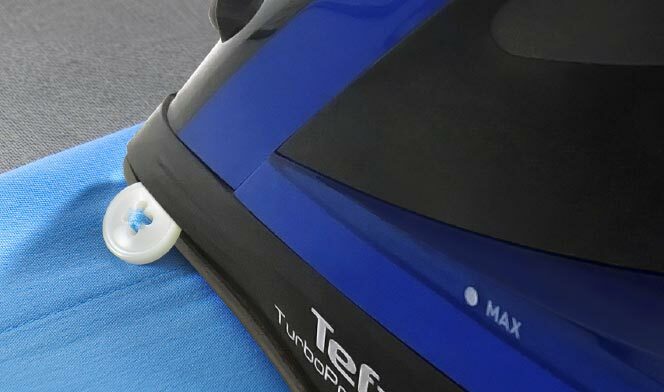 The lines are directly embedded into the soleplate for a smooth surface, and the new design is uniquely thin with a pointed tip for hard to reach areas like buttons. No dirt and no maintenance required. 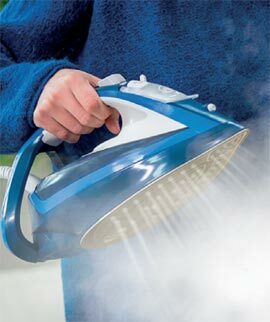 The soleplate is coated with palladium which enables the oven-like pyrolisis Autoclean feature. 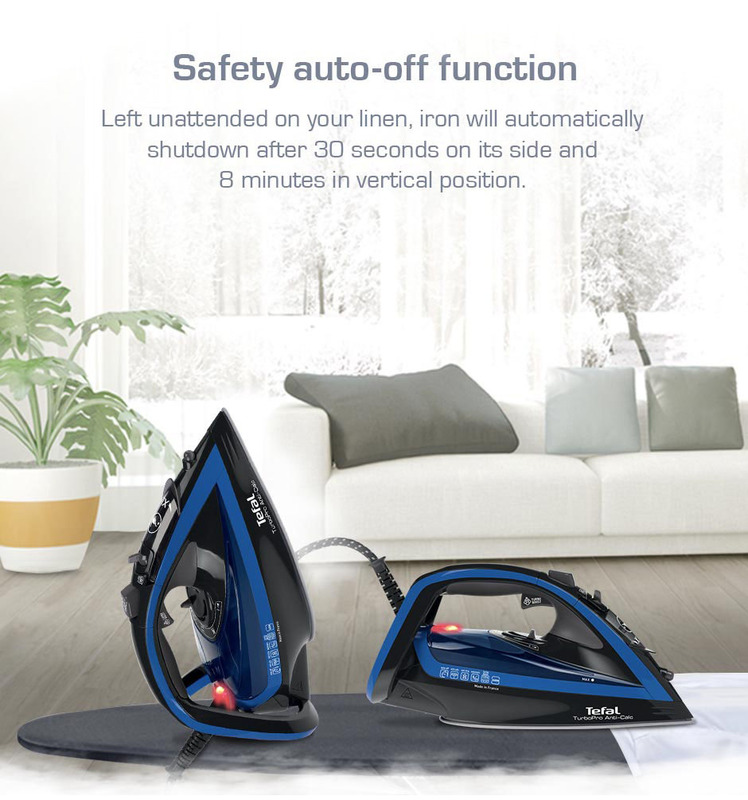 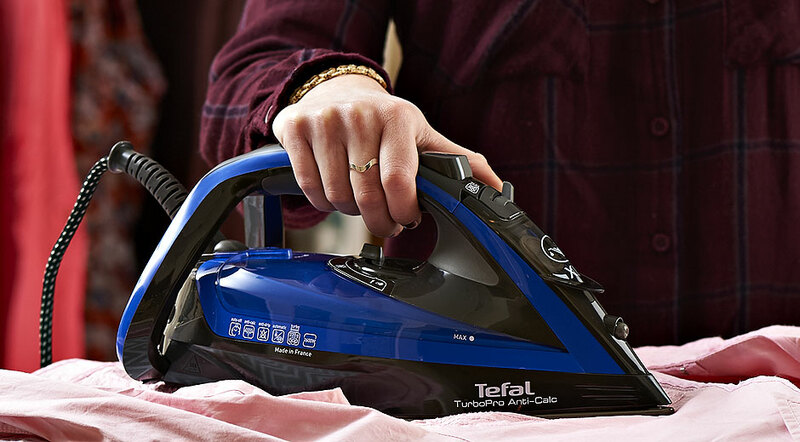 Tefal’s two-part construction process enables the iron to successfully distribute steam to the whole surface so that all its holes are active. 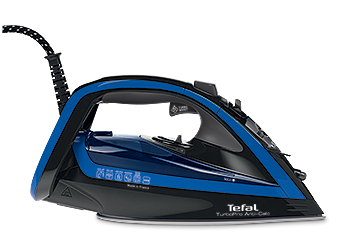 Ensuring long lasting steam power and excellent durability is now possible thanks to Tefal’s removable Calc Collector. simply take the calc collector located at the back of the chamber out, rinse it and put it back. 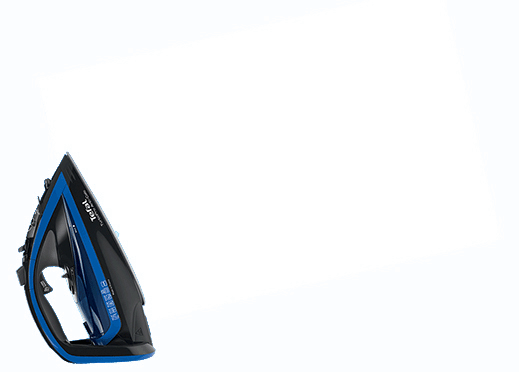 Navigate like a pro for hard to reach places. Direct your iron with high precision and never miss a single crease. 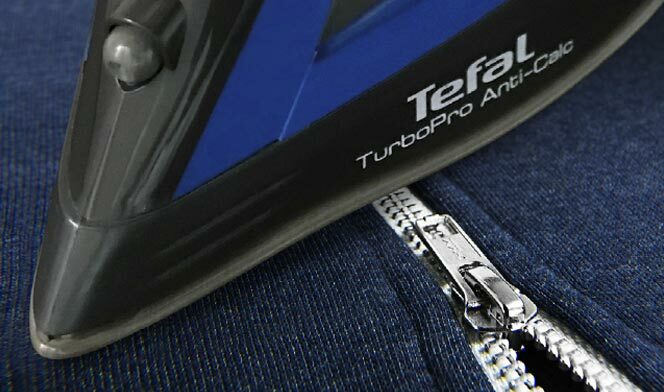 Glide between zips easily with a scratch resistant soleplate. 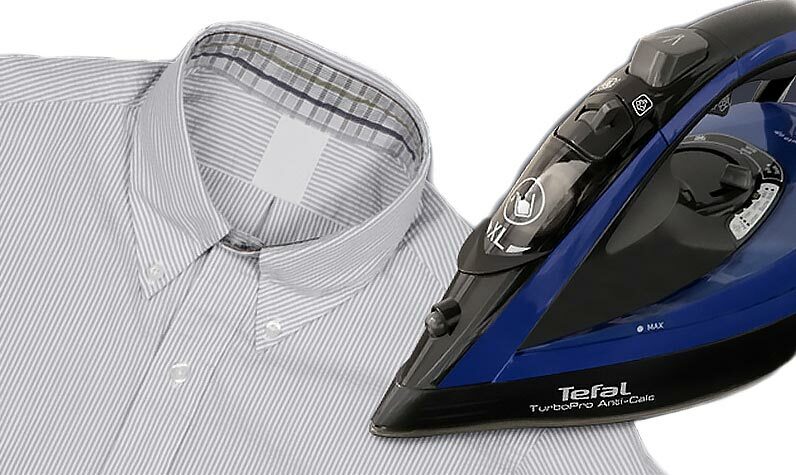 Iron in between buttons easily. 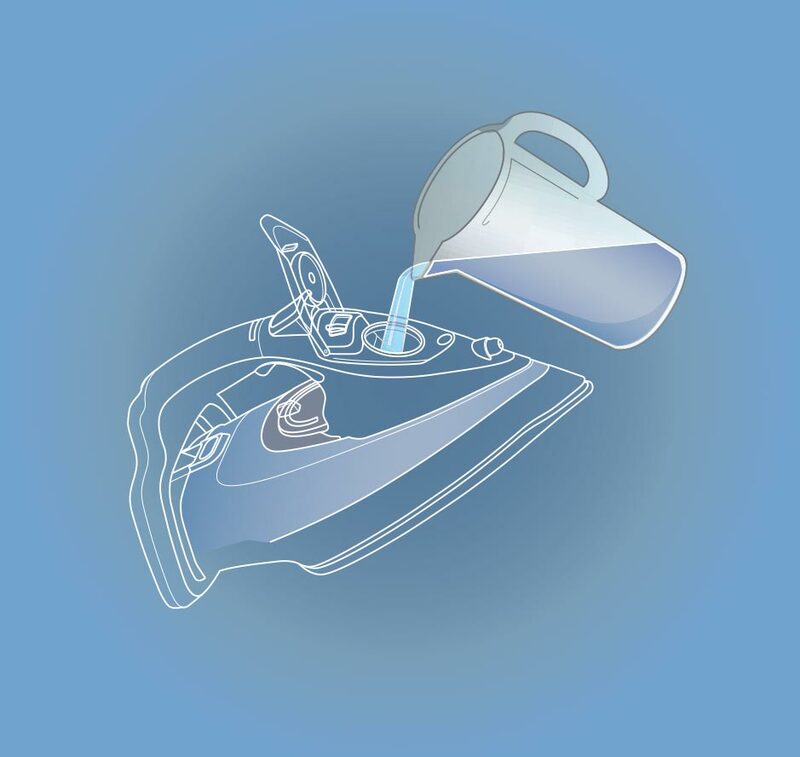 Filling hole is designed for an easy refill. Eco setting cuts 20% of your energy consumption. 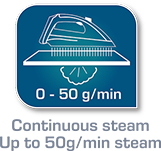 *As compared to energy consumption at maximum output.